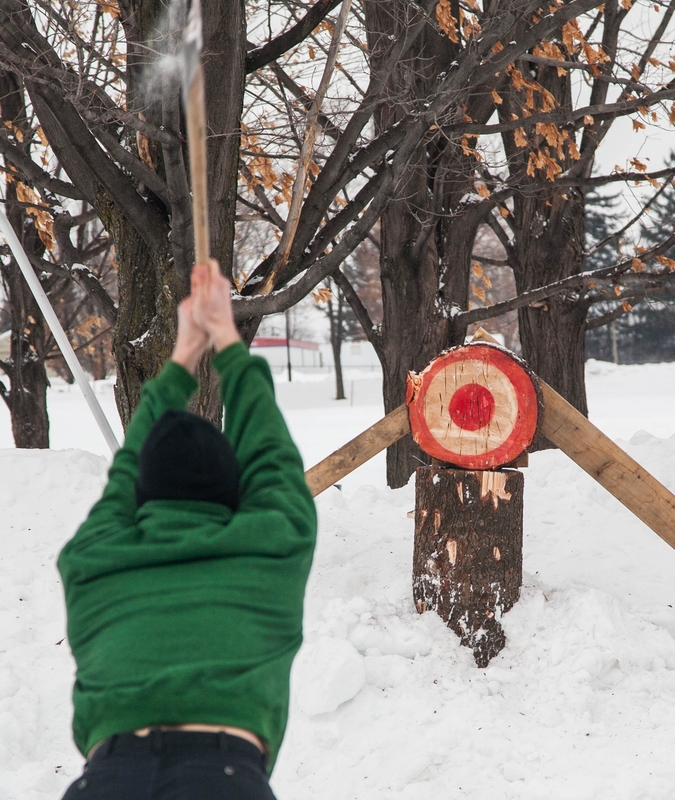 The Canadian Intercollegiate Lumberjacking Association was formed in 1997 by four lumberjacking colleges with the purpose of providing a venue for all members to participate in a series of competitions. With the exception of a few select events, most rules and events are identical at all competitions, allowing the teams to tally points over the season, and the opportunity of becoming the C.I.L.A. Champions for that year. New member institutions are always welcome. There are four competitions held each season: (1) October hosted by the University of New Brunswick in Fredericton, (2) November hosted by Sir Sandford Fleming College held in Lindsay, Ontario, (3) At the end of January, Macdonald Campus of McGill University in Sainte-Anne-de-Bellevue, Quebec, (4) The fourth and final competition is hosted by Dalhousie Agricultural College in Truro, Nova Scotia.